This tank is manufactured after purchase. Average ship time is 4 to 5 weeks. Snyder 250 Gallon Double Wall Tank, part# 5990502N30, is an industrial grade chemical containment tank. It's primarily used for chemical storage in commercial and industrial applications. This double wall tank acts as a tank within a tank. The outer natural white tank provides 110 to 120% containment for the internal tank. These are a few of the liquids and chemicals this tank is commonly used for: biodiesel, brine, calcium chloride, diesel exhaust fluid, fertilizer, polymer, sodium hydroxide, urea, and waste water. 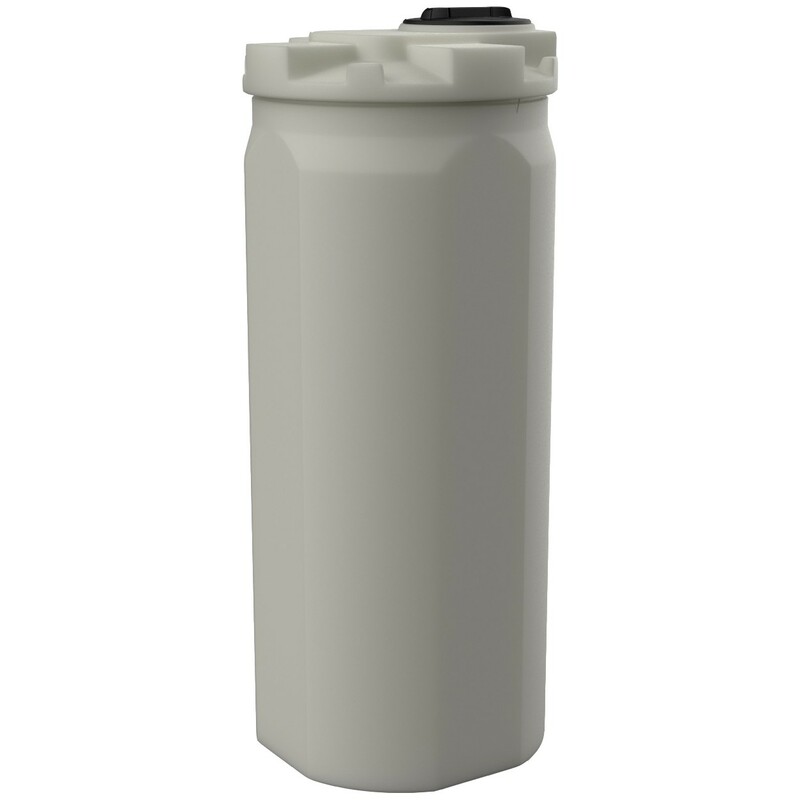 This plastic double walled tank is constructed with rotationally molded polyethylene resin and meets ASTM D1996 - 06 specifications for poly upright storage tanks. It's seamless design makes it durable, and resistant to cracks and dents. UV inhibitors help protect liquid contents against direct sunlight in both indoor and outdoor environments. Double wall construction keeps precipitation and debris from entering the primary tank. This double wall tank complies with FDA standards 21 CFR 177.1520 (1) 3.1 and 3.2 for the storage of potable water. It's 1.9 specific gravity rating makes it ideal for chemical storage and containment. Snyder backs this captor tank with a 3 year manufacturer warranty. This tank ships fully assembled - helping you save on field assembly costs. 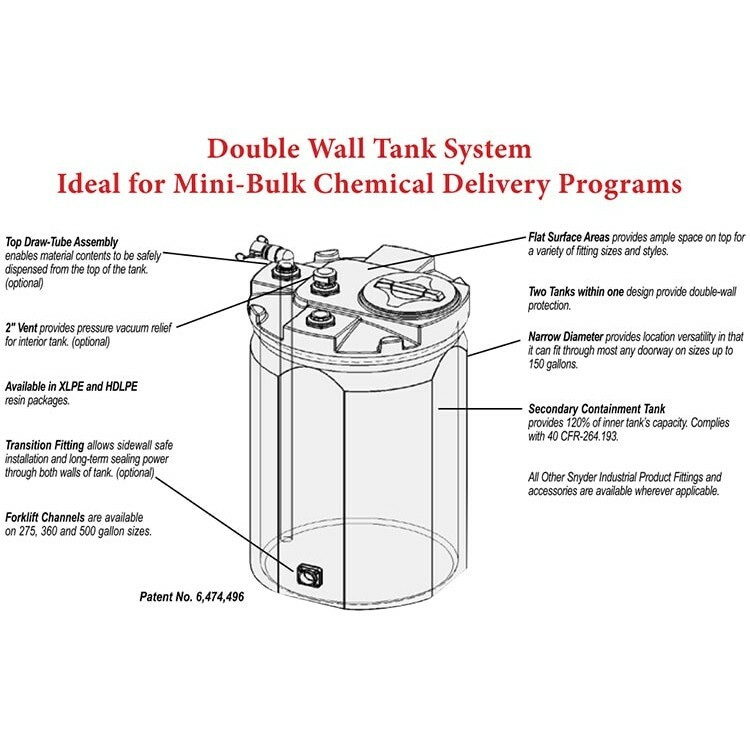 These double wall tanks come in sizes ranging from 15 to 13,700 gallons. 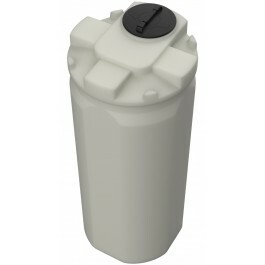 An XLPE cross-link polyethylene version of this tank is available. Let's solve your chemical storage needs with the 250 gallon double walled captor tank from Snyder. National Tank Outlet is dedicated to delivering the ultimate solution in chemical compatibility and performance. Contact our sales team and double wall tank experts with your questions or customization requirements.